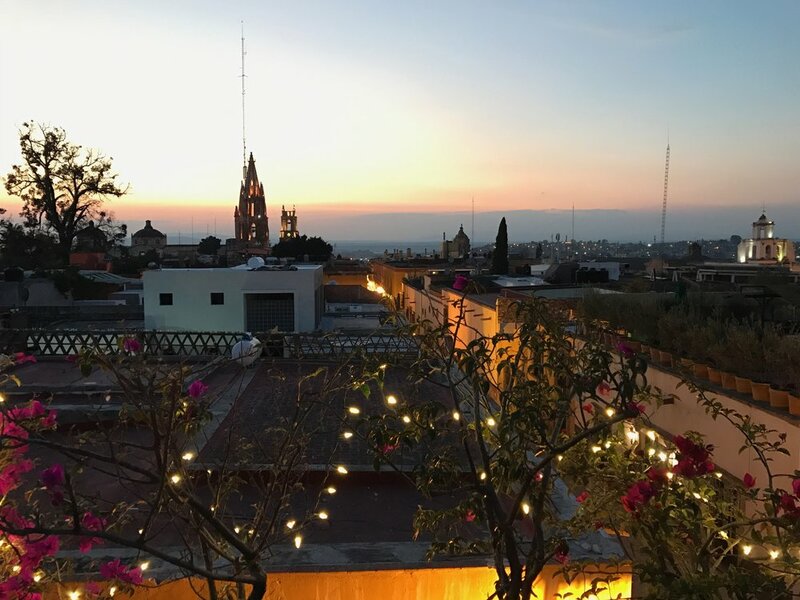 I spent New Years Eve and the first 10 days of 2017 in San Miguel de Allende, Mexico. It’s one of my soul destinations. Do you have any of those? I define it as place that stirs my soul and makes me feel like I am exactly where I am supposed to be to receive what I need. And for the beginning of the New Year, what I knew I needed was space to find some inspiration and also to have revelation. I believe I succeeded on both accounts! A change of scenery often translates into a change of perspective. For me, that's worth hopping on a plane and spending some time in places that invigorate me. I can't tell you specifically what I love so much about SMDA. When I describe it to people, I don't have a long list of things to see and do, or much of an itinerary to share with those who may want to visit. I talk mostly about the colorful buildings, interesting doors, beautiful art, and the cobblestoned streets I enjoy walking down. I definitely mention the food, as that is worth a big mention. My favorite meals though are usually from the street vendors if I'm being honest. I share my favorite rooftops to watch the sun set -- and that is quite easily my favorite activity of all. The sunsets here are magical, friends. They will be the thing that keeps me coming back to this place time and time again. I am a sunset chaser at heart. When was the last time you purposefully changed up your routine to change your perspective? It doesn't need to involve a passport stamp. Sometimes it's as simple as a walk along the beach, or a drive to the mountains. Know your places, and seek them out.